Ivory Nativity Scene Made in U.S.A.
Home > Nativities Sets > View All Nativity Sets from Around the World > Nativity Scene Ivory, Made in U.S.A. 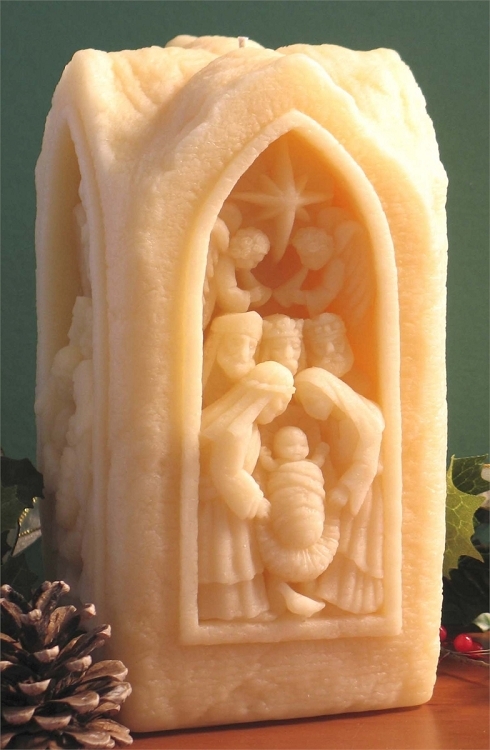 This lightly scented luminary style Nativity Candle will be the focal point of any dinner table, fireplace mantle, or wherever a warm festive glow might compliment a holiday setting. As the wick burns down, sculpted images come to life while casting soft candle light throughout the room. The classic style of sculpture and attention to detail gives it an almost museum quality appearance. 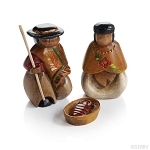 The Holy Family, Three Wise Men, Angels and Star of Bethlehem come together as a decorative, yet functional, gift.